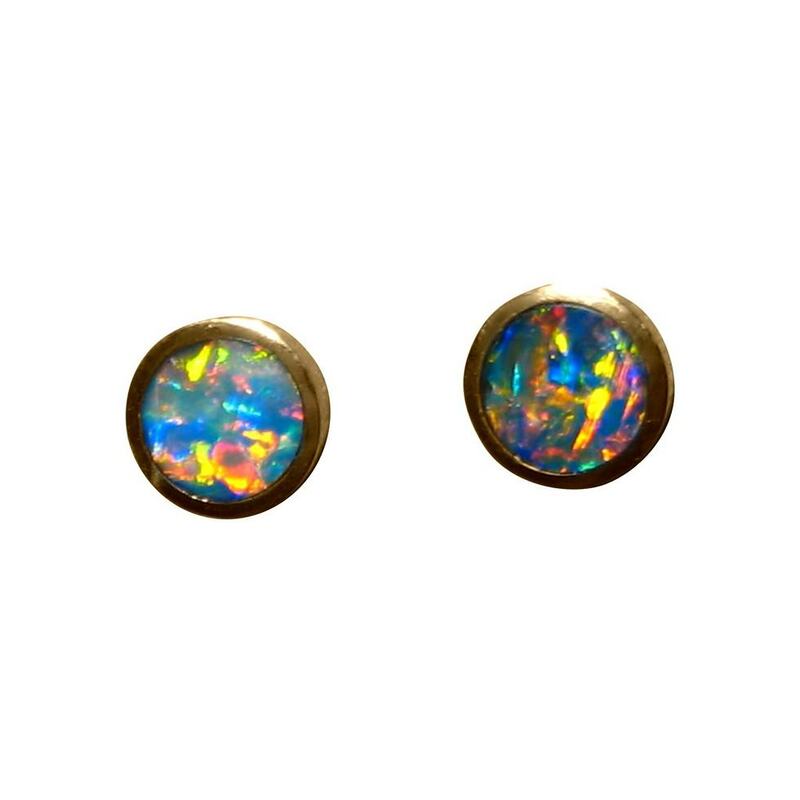 A pair of round Opal stud earrings in 14k Gold that are extremely bright and colorful. 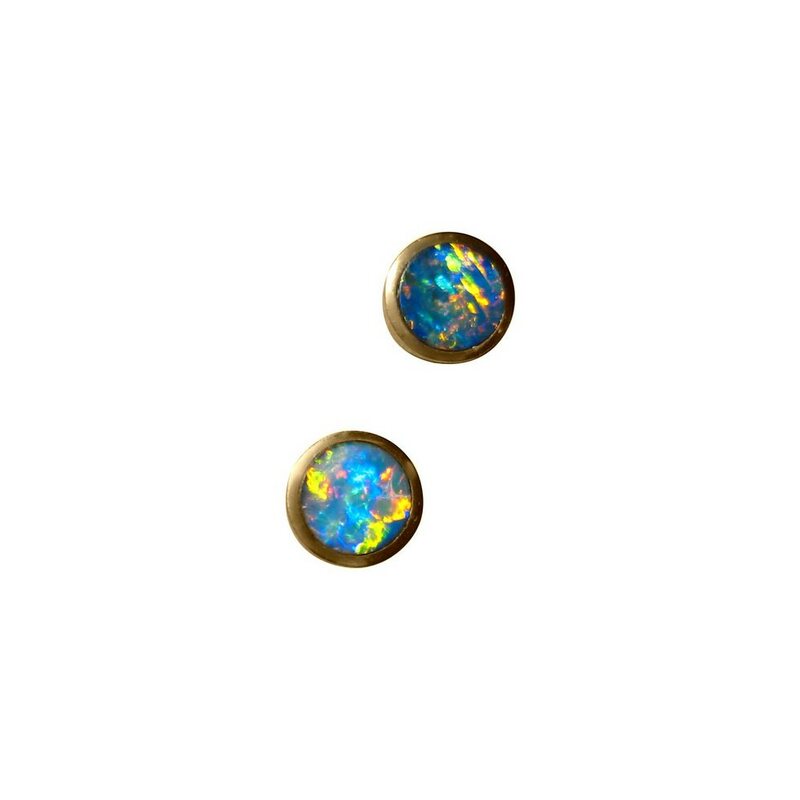 These round Opal stud earrings are in 14k Yellow Gold and can be worn by women or men. 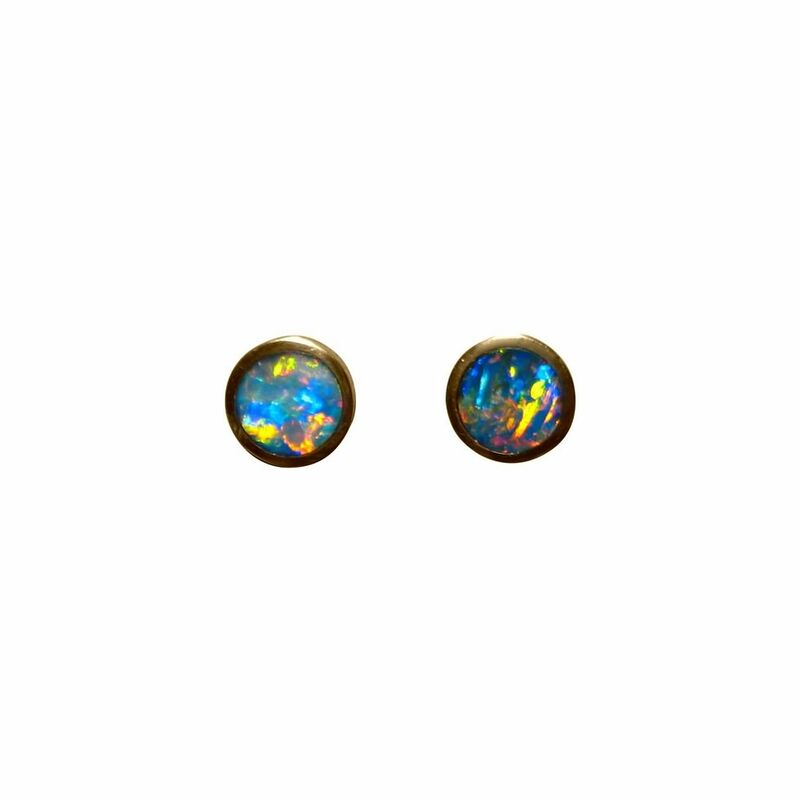 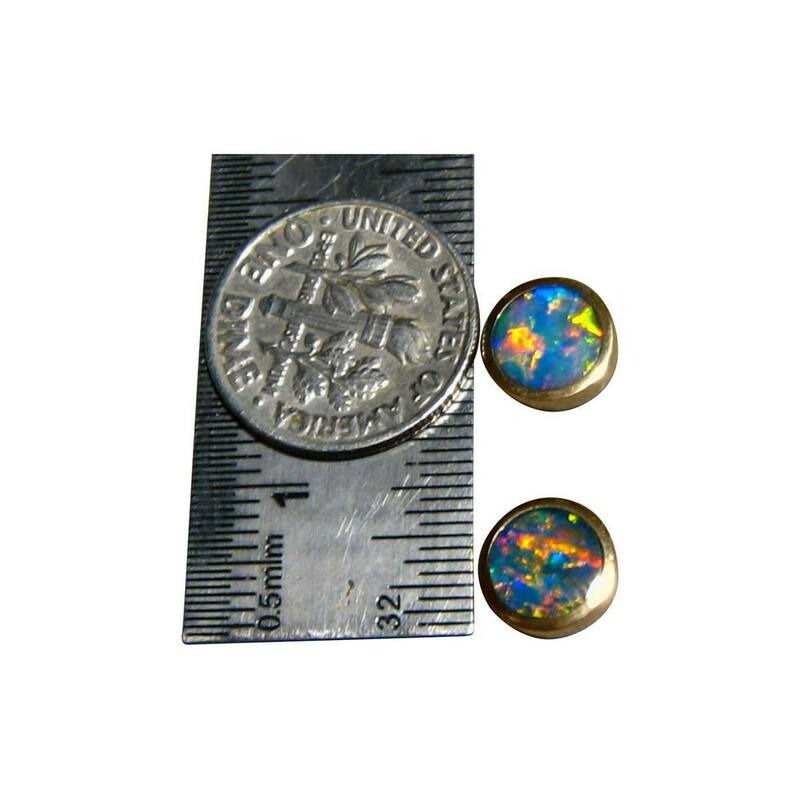 Each earring measures 8.5 mm and are inlaid with round Lightning Ridge Opals showing extremely bright colors, including Red, with a combined weight of about 1.5 carats. 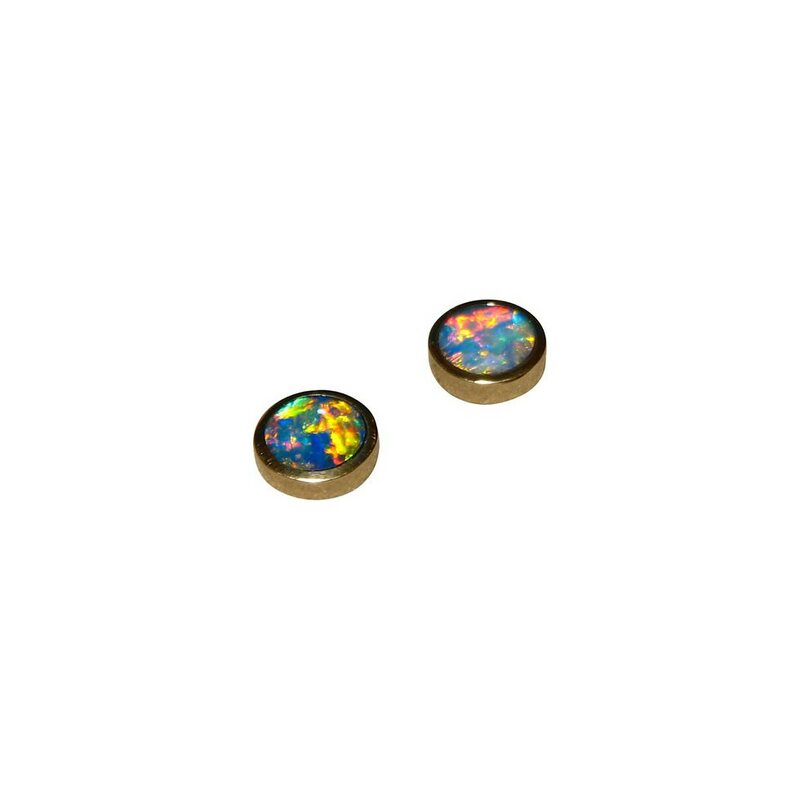 They are secured to the ear with comfort fit butterfly backs which are attached the same way as normal butterfly clips but are softer on the ear. 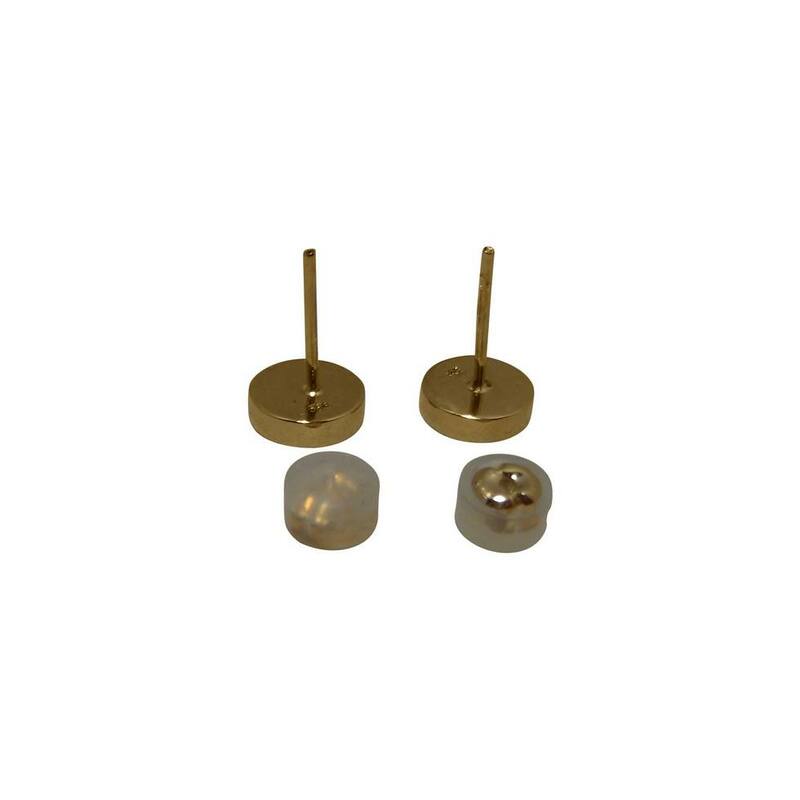 You do not remove the rubber coating. 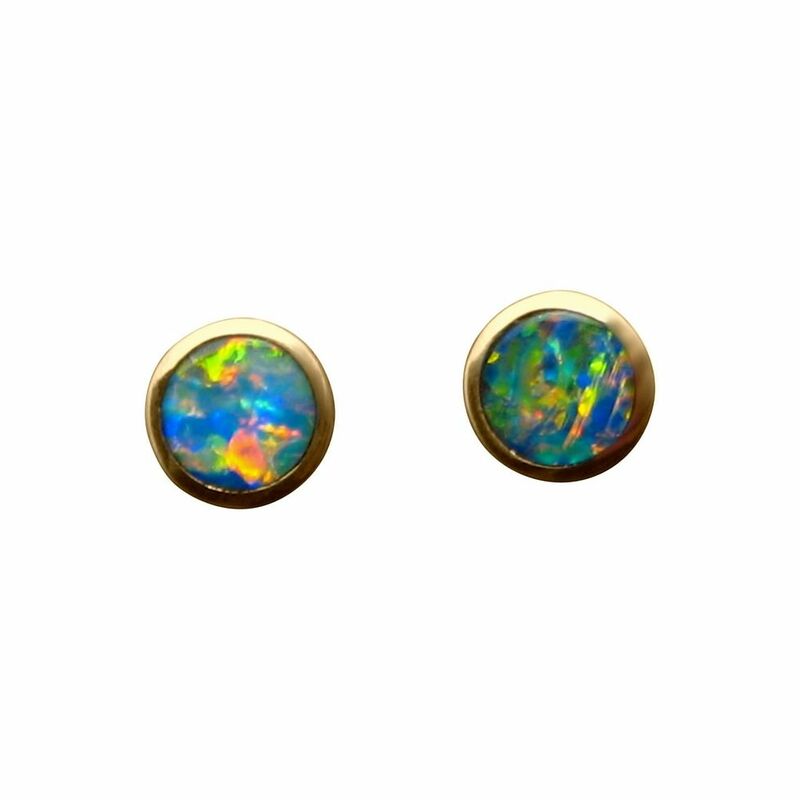 A stunning pair of Opal earrings that will be noticed and admired when worn.